Lonestar Region: Greater Houston Council's 9th Annual Kickoff is right around the corner! All local Houston 9th through 12th graders are invited!!! 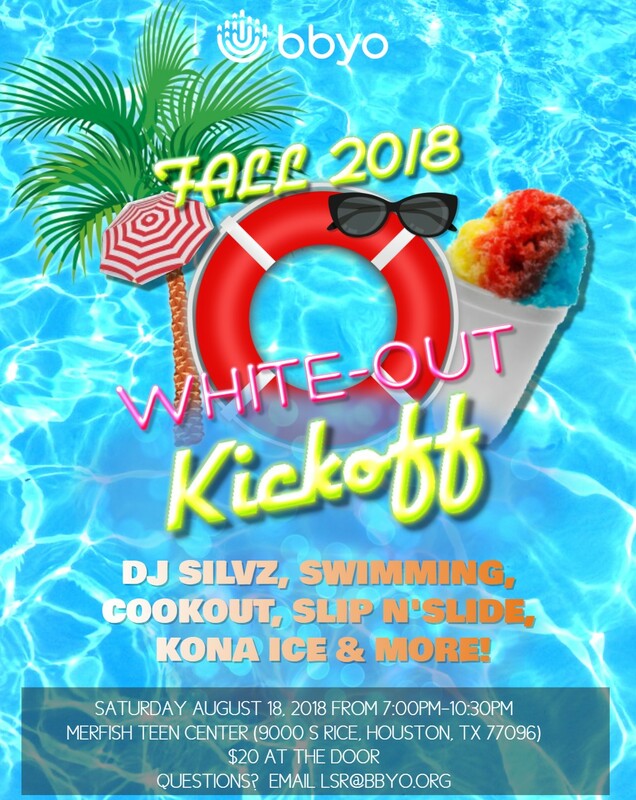 What: DJ Silvz, Swimming, Cookout, Slip N'Slide, Kona Ice, Dancing & More! Dress: Casual White Clothing & Bring an appropriate swimsuit and towel with you! Cost: $20 @ the door! Don't miss out on the fun! Dinner will be served. We can't wait to see you on August 18th! Do I/my teen have to be a paid member of BBYO?